Since achieving Hyatt diamond status, I’ve tried to maximize our travel returns for international trips – booking high quality, low ranked Hyatt properties. We had amazing luck getting the Park Hyatt Istanbul, a category 4 property, for the cash & points rate back in February, so I was excited to see what other properties we could visit. While Hyatt has a relatively small footprint in Europe (basically just London & Paris, with a few other locations on the continent), it has a HUGE footprint in North Asia. Surprisingly, this doesn’t extend to Taiwan. While Japan, China, South Korea, and Hong Kong are loaded with Hyatts, Taiwan only has the Grand Hyatt Taipei. 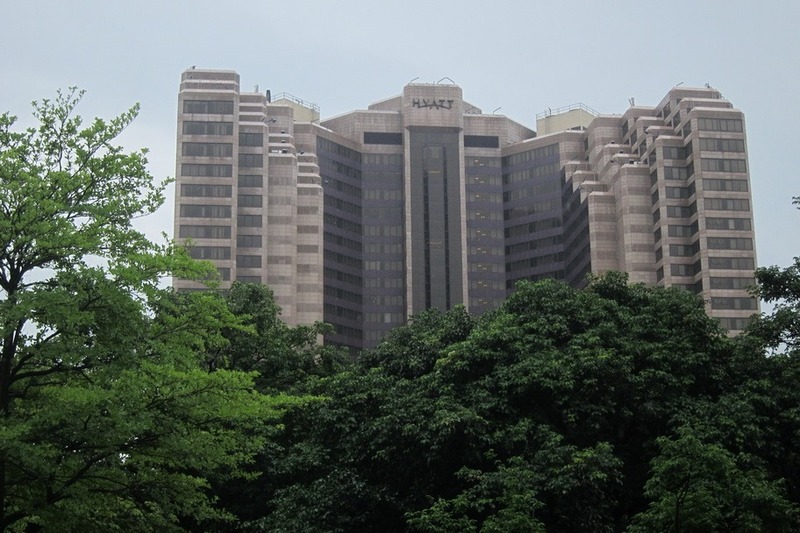 Topping several haunted hotel websites, the Grand Hyatt Taipei is rumored by locals to be built on top of a WW2 prison camp, and is said to have wandering spirits. With 15 hours of jetlag between us and home, a few restless spirits were not going to stop Mrs. Selfish and I from getting a good night’s rest as long as the hotel delivered!